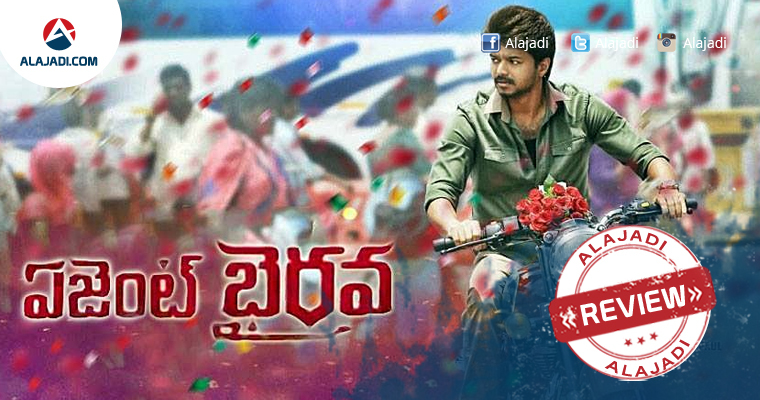 Agent Bhairava is a new Telugu release that is the dubbed version of Tamil film ‘Bairavaa’ that released on January 12th, 2017. Now after 5 months, the production team is releasing Bairavaa in Telugu dubbed as Agent Bhairava. The movie released on July 7th, 2017 in Telugu speaking areas. 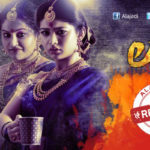 Bellam Ramakrishna Reddy has acquired the rights of its Tollywood version and releasing it big in Andhra Pradesh and Telangana. Vijay is a loan recovery agent who never lets illegal activities happen in front of him. How he faces and takes down the head of an educational institution who also happens to be a criminal, forms the main point of the film. He falls in love with Keerthy Suresh who comes to Hyderabad for her friend’s wedding. In an attempt to propose her, he learns about her past. Jagapathi Babu as PK is the villain of the film and is after Keerthy Suresh. How Bhairava dealt with PK and saved his love interest forms the rest of the story. Agent Bhairava is an attempt from Vijay to satisfy his mass fans with a story that includes all the elements of a commercial film. As commercial films are the ongoing trend in Indian film scene right now, Bhairava falls prey to the same cliche of boring films that are only made to make collections out of star power. The story is about how educational institutions are going corrupt these days and a brief 5-10 minutes are dedicated to tell us this point. The rest of the film is however busy in showing Vijay and his collective acting/comedy/fighting skills. Vijay: He did his best performance in this movie. Keerthy Suresh: She does what she does best and stays cute most of the film. Agent Bhairava will release in close to 150 screens in both the Telugu states. This is quite a good release for Vijay keeping his reach here in mind. Director Bharathan tried to make every fight scene into a slow motion mirage that didn’t turn out well. The dubbing of the film into Telugu songs and dialogues feels so unnatural and the sound modulation is utter bad. The dialogues are barely audible.